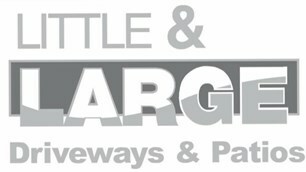 Little and Large Landscapes - Driveways/Patios/Paths, Fencing/Gates based in Sandbach, Cheshire. Little and Large Landscape Services are a family run company based in Sandbach that offer professional landscaping, driveway and fencing services across Cheshire, Staffordshire, and Shropshire. We serve a combination of residential and commercial clients, and there is no job too big or too small for us! We’re proud of our growing portfolio of projects and the close relationships that we keep with our clients. We pride ourselves on the care and attention to detail that we take to understand your requirements in order to delight you with our work. Our aim is to give our clients the garden landscape they desire for the very best value; with our exceptional personalised service. Please take a look at our Facebook reviews to find out what our customers think of our work, there’s no better endorsement than a client sharing their views publicly about the quality of our work.